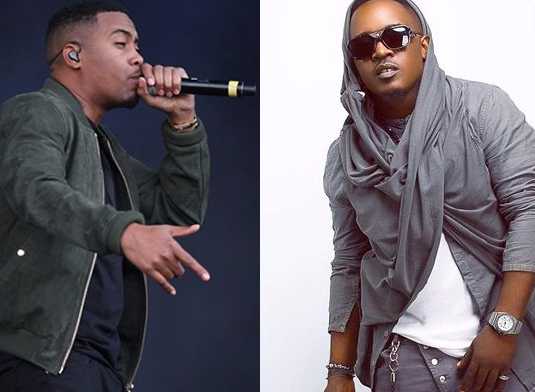 Nigerian rapper M.I and his music Imprint are going into a legal war with American hip-hop artiste NAS for a breach of contract. M.I has now confirmed this and described the situation as "unfortunate." M.I told Entertainment News on Channels TV that Chocolate City Music paid NAS a huge sum for a verse that was never received. The No. 1 African rapper said he has no idea how the information that he's suing NAS got out there because it was never his intention, but he admits it is true that NAS failed to deliver on his part of the bargain and he's being sued. "We paid a good amount of money to get a verse. In technical terms, we send us an MP3 that merged verse and the beat. So what we'll need is to get a verse that is called a Stem file, so we can use it and we never got that. And we've tried and tried and tried to reach out to them, so let the laws handle their thing," M.I said. "NAS is one of the greatest of all time. It's sort of unfortunate but it is what it is," M.I added.